OLEH—THE Odiologbo of Oleh Kingdom, Isoko South Local Government Area, Delta State, HRM Ovrawah Omogha l, has frowned at the proposal by the Federal Government to create cattle colonies across the country, reiterating that no portion of the kingdom’s land was available for that purpose. Speaking at his palace while inaugurating standing committees for the kingdom, Omogha l urged his subjects to be vigilant and report cases of attack by herdsmen in their farms. Emphasizing that security of lives and property was a top priority in the kingdom, he advised the people to avoid crisis that could lead to violence in the community. Committees inaugurated were: Appeal and Peace Settlement Committee, Land Dispute Committee, Community Development Committee, Land Development and Town Planning Committee, Bride Price and Wedding Committee, Security Levy Collection Committee, Education Committee, Project Monitoring Committee, Oletu – Ode Committee and Osogba of Oleh Committee. 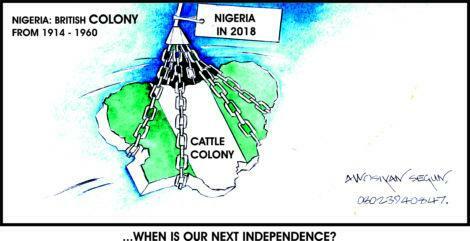 The post No land for cattle colony, says Delta monarch appeared first on Vanguard News.